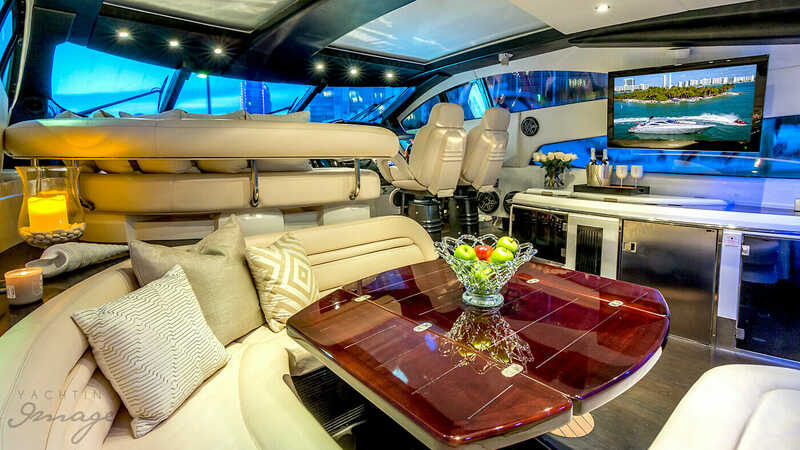 This 75 Sunseeker Predator is a silver beauty with her sleek European lines and spacious exterior. 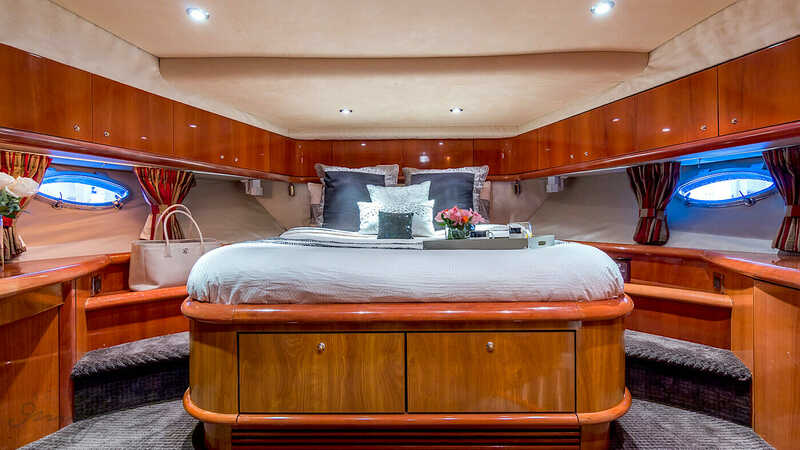 In 2015 she underwent several upgrades a new paint job, teak and marble accents has truly transformed her to the ideal charter yacht in Miami. 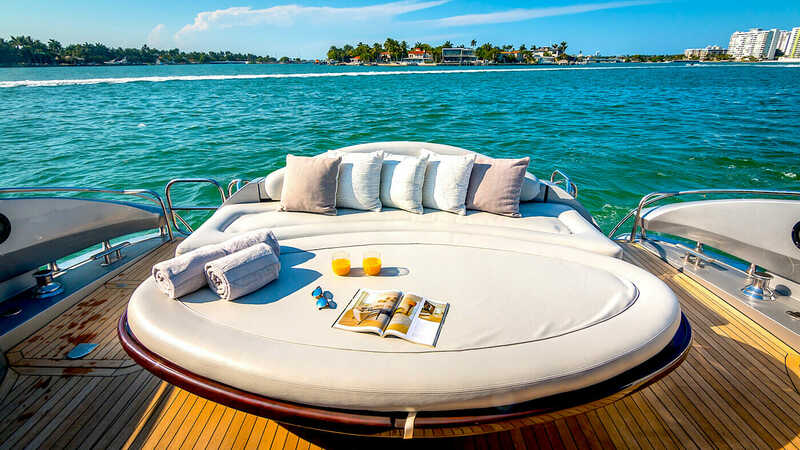 Enjoy a nice meal on the aft deck settee or convert the table to a large sun pad. 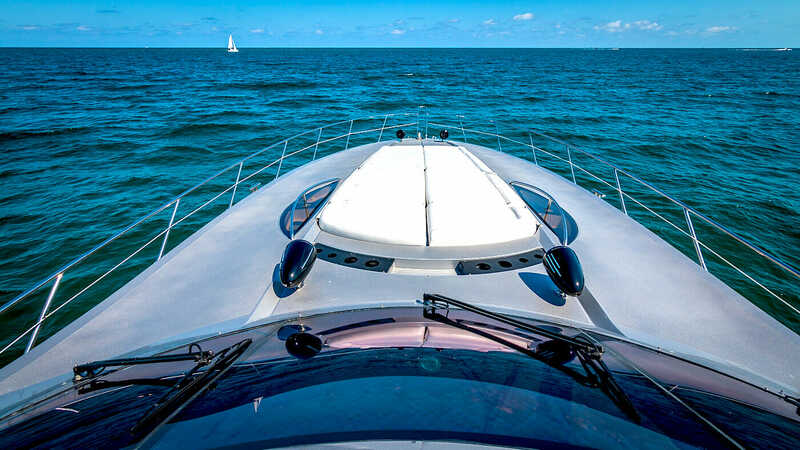 The bow offers an expansive area for lounging and experiencing an exhilarating ride. 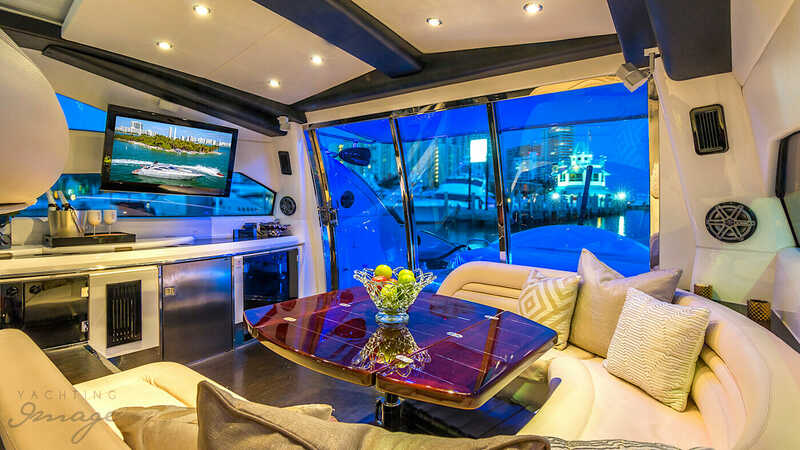 The high-end bluetooth capable audio system provides concert-style sounds for your favorite tunes inside and out. 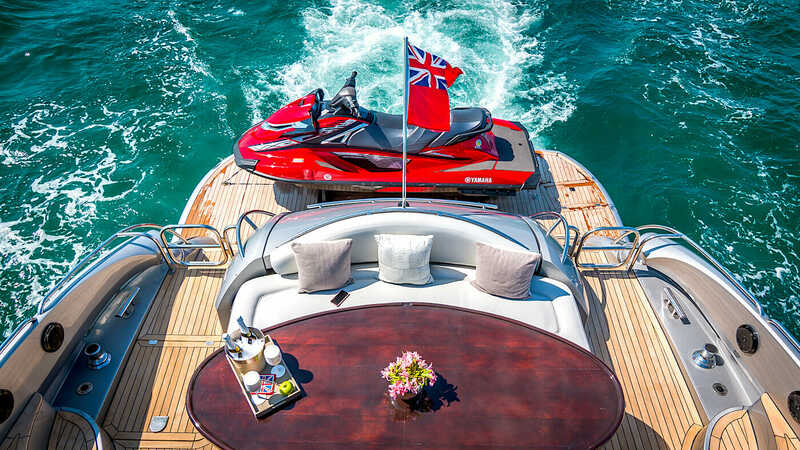 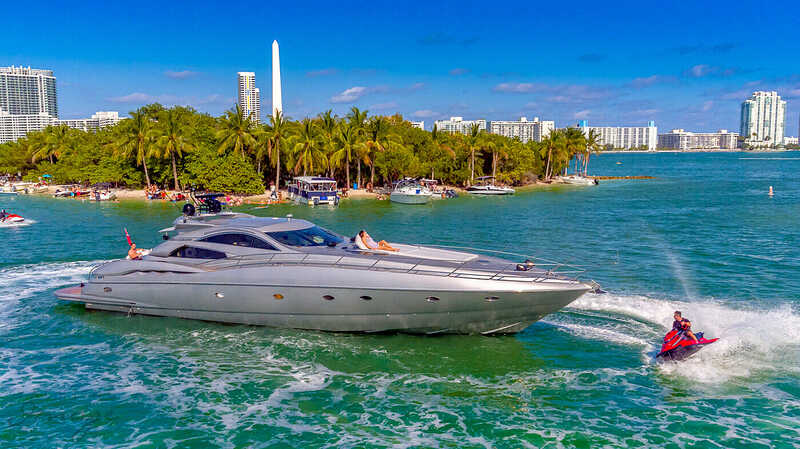 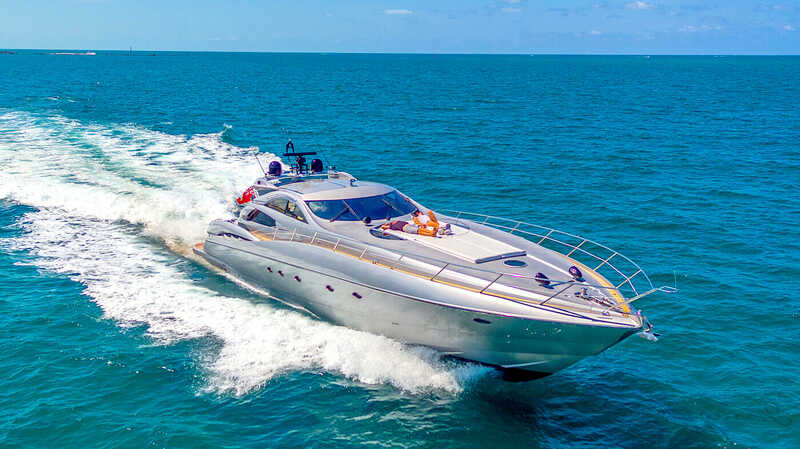 Equipped with an array of water toys to keep you and your loved ones active, this yacht encompasses all of the tools to make your cruise an unforgettable one. 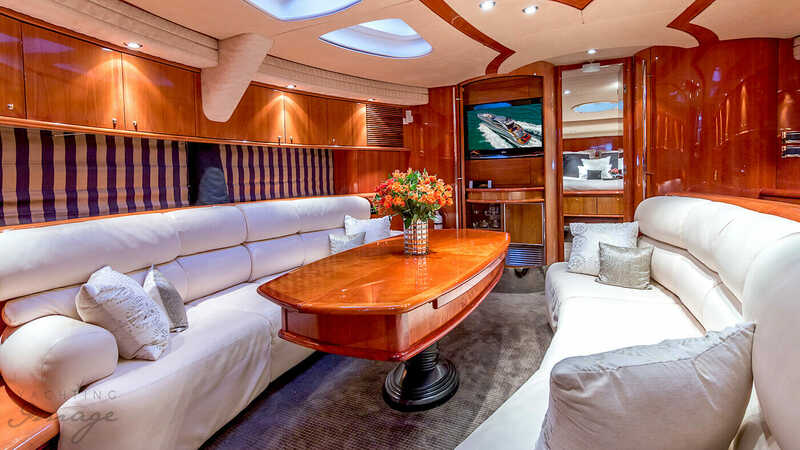 The upper salon boasts a light cherry wood interior, a sunroof, a leather sofa, and a home theater system with a large flat screen television. 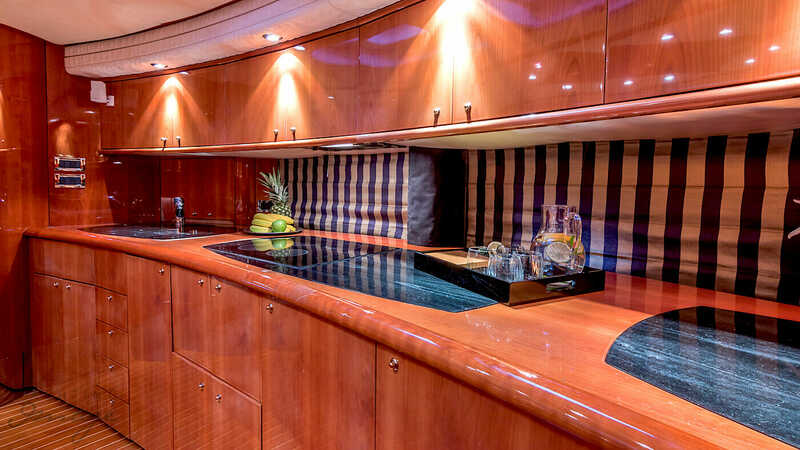 The lower salon is home to a full galley with Microwave/Convection Oven, Refrigerator, Ice Maker, Dishwasher, 4 burner Electric Stove and Faux Granite countertops.